Do You Desire The Best Emerald Turf In Chorley? If you are looking for a durable grass that will stand up to children and pets romping about, our supplies of emerald turf in Chorley and across the North West offers the perfect solution. This grass blend was especially formulated to stand up to the daily wear and tear of active families and look beautiful while doing so. 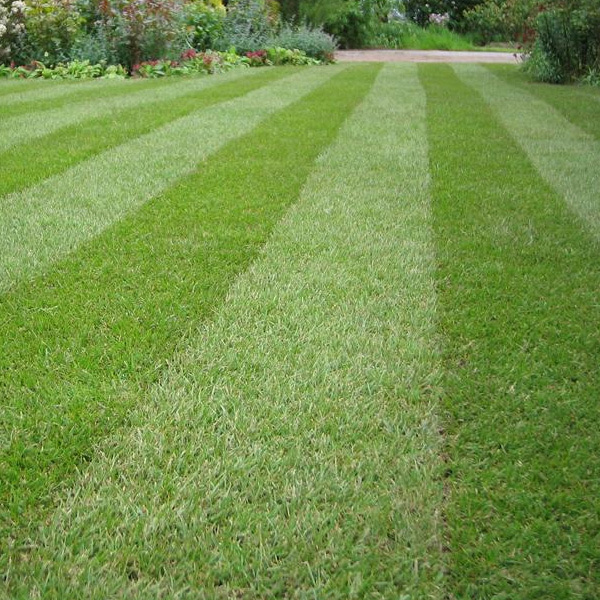 It is recommended for domestic lawns, general landscaping, and fairways all across Lancashire in areas such as Preston to Blackpool and Lymm to Sale. This attractive grass blend is one of Greenvale’s most popular turfs. Once established, its water requirements are quite moderate. Its deep green “emerald” hue makes it ideal for any landscape.Our fantastic delivery service ensures our reputation as the leading suppliers of turf in Chorley and across the region. Our supplies of emerald turf in Chorley, Lymm and even Sale offer a blend of grasses picked for durability, low maintenance, and ease of establishment. This fine-textured grass blend consists of perennial ryegrass, smooth stalked meadow grass, chewing fescue, creeping red fescue, and slender creeping red fescue. Ryegrass is a tufted grass, it grows in bunches and blends nicely with the other grass species in this mix. Meadow grass is very hardy. Fescue is also extremely hardy and is very easy to establish. When you order the delivery of our emerald turf in Chorley, Preston or Blackpool, you can expect solid rolls which make installation easier and quicker. If you have ever installed a yard using sod squares you will appreciate the superior ease and speed of installment provided by rolled turf. Each roll equals 1 square meter and is approximately eight feet long and 16 inches wide. Expect Terrific Turf In Lymm, Thanks To Our Dedicated Delivery Service! Take it from us, the leading suppliers of emerald turf in Chorley, rolled turf can be quickly laid, unlike sod squares. The key to successfully laying any turf is preparation. Prepare the area before the turf arrives. It should be smooth and level, with all weeds and obvious rocks removed. Fertilizing with a pre-turfing fertilizer is recommended. Sprinkle lightly over the prepared area and rack it in. Once your Emerald Turf arrives in the North West, in Lymm or Sale for example, it should be installed within one day. If the weather is dry, wet down the pallets, especially the ends. Begin laying the turf at a long, straight edge of your area. Roll out the first turf, being careful not to stretch it. Abut the next roll the end of the first and roll it out. Don’t overlap the strips; use the back of the rake to smooth the ends together. Tamp down the turf so that it makes good contact with the soil; a roller is great for this. When you are ready to lay the next row, abut the roll against your first row, but don’t overlap. For a striped appearance roll each row of turf out in alternating directions. Once your turf is laid, you will need to water it daily until it is well-established, unless the weather cooperates and gives plenty of rain (areas such as Preston and Blackpool would normally co-operate!). After Emerald Turf is established it is hardy and has very moderate water requirements. Our prestigious delivery service will deliver terrific turf in Lymm and across the North West to areas such as Sale, Preston and Blackpool for example. To determine a definitive price across Lancashire, like our emerald turf in Chorley, simply work your way through the delivery price calculator.